Crumbled and seasoned meat/egg are generally called “soboro”（そぼろ） in Japanese. Soboro are often used as toppings on steamed rice. 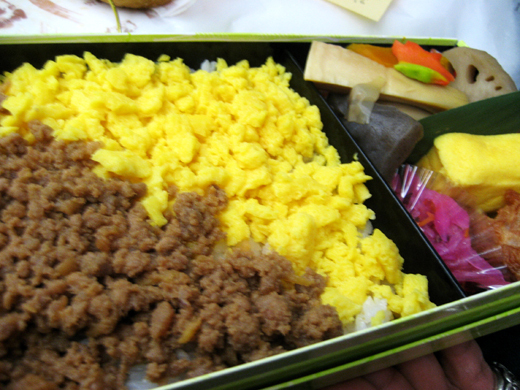 Different colored soboro are presented on top of the rice in a lunch box. Very tasty.